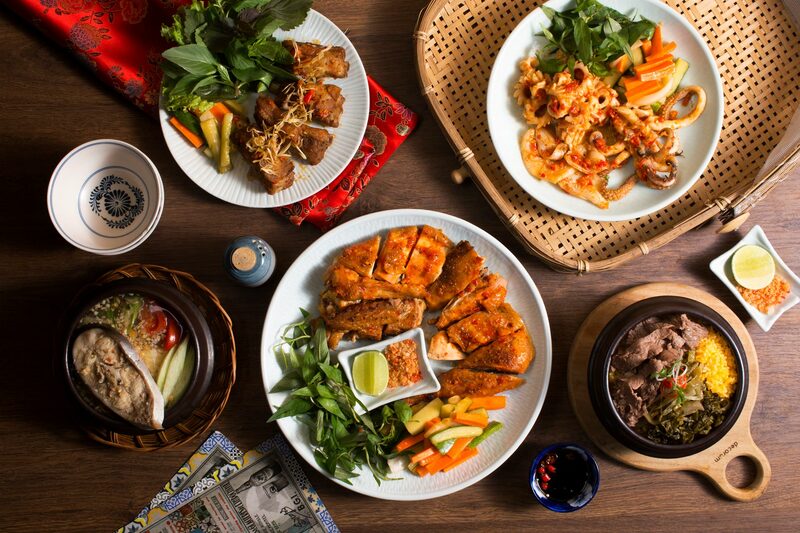 Located in the lively inner HCMC and adjacent to Ben Thanh Market, Di Mai restaurant with its fearsome dining space would cast your pressure of life aside and help take pleasure in the culinary delights of the country. From the deep notion of Vietnamese, their cuisine is invariably attached with the image of rustic countryside food. Paying Di Mai a visit; However, diners would be astonished by the subtle and distinctive architecture language between Vietnamese countryside and Indo-Chinese, reminiscent of the good old Saigon streets. So is our focal point – The dinner table in the concept of a tuk-tuk. Moreover, the great deal of attention to renovate Ao Dai for waiter/waitress and Vietnamese pattern aprons for chef partly accomplish the unique trait of Di Mai.